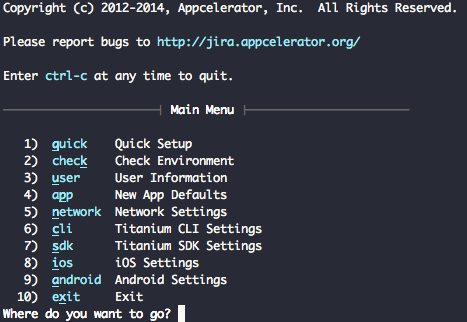 As you probably remember from previous blog posts, Titanium has a CLI (command-line interface) from which you can create apps, compile, publish, and everything in between. The CLI is in fact what Titanium Studio uses underneath, so if you currently use Titanium Studio, you already have the CLI installed on your computer. you’ll get a menu with several options. From this menu you can get vital information about your current configuration. The most important one when troubleshooting any problem is Check. This option will gather all the relevant data and will give you a report of what Titanium can (and can’t) locate, and where Titanium finds potential problems or misconfiguration. This is particularly helpful on Windows where the Android installation requires changes in environment variables. 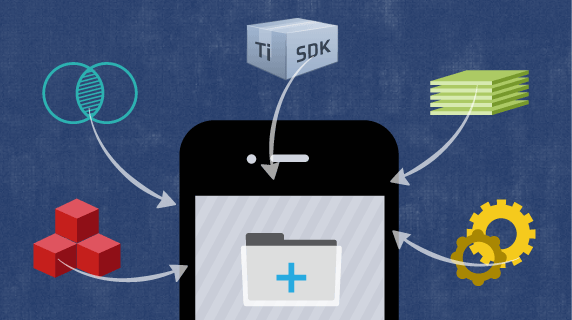 Can’t figure out why you can’t publish apps for iOS? The CLI will tell you if Titanium can find the necessary information. Can’t compile for Android? Java errors? Check the Android and Java sections on the report. 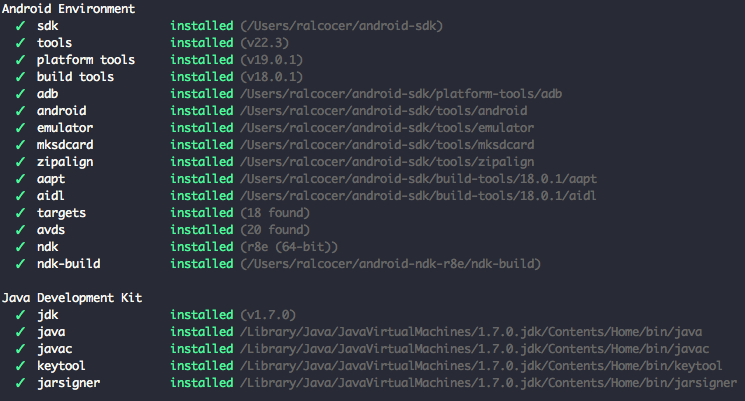 If you’re using Studio, there are still some things you have to explicitly configure within Studio, such as your Android SDK path, but by knowing the CLI you can rule out if issues you’re having are related to Studio, the underlying tool-chain configuration or any missing dependency. So if you’re installing the Titanium tools on a new computer, or for some reason you suddenly can’t compile your app, make sure you go to the CLI and let it do the leg work for you; it’ll save you a lot of time!